Apple on Monday seeded the first iOS 11.4 beta to developers. And today the company has released the first public beta version of its upcoming iOS update, just a few days after officially rolling out iOS 11.3 to the general public. Unlike the newly released iOS 11.3, Apple’s next mobile update is much more incremental in nature. For the most part, it seems like it’ll introduce bug fixes, performance improvements, and other under-the-hood changes. Beyond those minor updates, it’s not clear what new features will actually be included in iOS 11.4. But it’s looking likely that the iOS 11.4 betas will serve as another testing ground for two fairly major features: AirPlay 2 and Messages in iCloud. 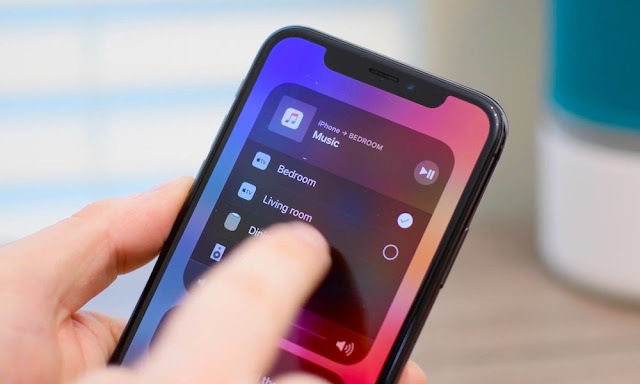 The first iOS 11.4 beta reintroduces AirPlay 2, which was present in early beta versions of the previous software but was later removed prior to the public launch. Because of that, users who have iOS 11.4 can test AirPlay 2 functionality — provided that they have an Apple TV 4 or Apple TV 4K with the tvOS 11.4 developer or public beta installed. AirPlay 2 allows for multi-room audio support, enhanced audio buffering, HomeKit integration and more. The beta also hints at upcoming HomePod stereo support when it officially launches, but the feature isn’t available to test quite yet since it requires an unreleased HomePod software update. Similarly, iOS 11.4 beta 1 also brings back iMessage storage in iCloud. While it was looking likely to be released in iOS 11.3, Apple pulled the plug on the feature at basically the very last minute. The feature will basically go through another beta cycle worth of testing, with a possible release in the final version. Messages in iCloud allows for perfectly synchronized iMessages across all of your iCloud devices. And when messages are deleted on one device, they’re also deleted everywhere else. Presumably, the final release of iOS 11.4 will include the new education-focused ClassKit framework. There might also be under-the-hood updates that add support for Apple’s AirPower charging mat and increased HomeKit functionality. You can get the new beta if you’re a registered developer, or by signing up for Apple’s public software testing program. As always, it’s not recommended that you download beta software on your daily drivers. At the very least, perform a full backup of your device before proceeding.